Yes, today’s blog is more or less a comedy sketch. It randomly occurred to me that it might be highly amusing to take the worst tea i could find and apply my rating system to it. Naturally i didn’t want to spend much money on the venture though. Under normal circumstances I would never consider drinking a Lipton tea, but I noticed this box of modern sachet “long leaf Ceylon” on the clearance rack at my local grocer. 50% off of $3. 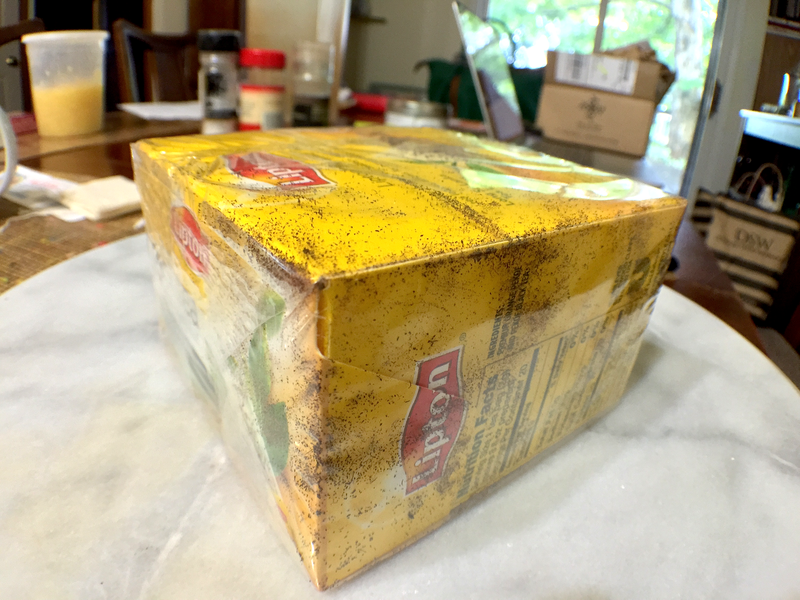 I have never spent less on a box of tea unless it was given to me. Not a failing grade (and i have given those), but certainly nothing i would ever recommend. Pure Long Leaf Black (Lipton): package by Jocilyn Mors is licensed under a Creative Commons Attribution-ShareAlike 4.0 International License. Pure Long Leaf Black (Lipton): CTC by Jocilyn Mors is licensed under a Creative Commons Attribution-ShareAlike 4.0 International License. Pure Long Leaf Black (Lipton): spent by Jocilyn Mors is licensed under a Creative Commons Attribution-ShareAlike 4.0 International License. Pure Long Leaf Black (Lipton): liquor by Jocilyn Mors is licensed under a Creative Commons Attribution-ShareAlike 4.0 International License.